The wild brown bears from Wild Taiga have taken over Brussels! The city of Brussels is now covered for a month with Winter Wonders Christmas market posters which feature brown bear, The King of The Finnish evergreen taiga forests. If you wish to see those majestic large carnivores or their adorable cubs yourself in the wilds, we offer you now the rare possibility for that! Take part to our Instagram Bear Selfie-competition, and if you get lucky, you might win a once-in-a-lifetime experience, an exciting bear watching short break next summer! What’s best, the prize includes also Finnair flights (from Brussels, Amsterdam or Düsseldorf) to Kajaani and it is for two persons, you can share the amazing experience with your friend or loved one! All you need to do, is to look out for the wooden brown bears at the Christmas Market’s Finland-section and snap a selfie with the bear. Eligilibility: Selfie with the wooden brown bear found next to The House of Silence (Finland) at the Winter Wonders Christmas Market at the Grand-Place in Brussels. Use #bearfromwildtaiga and @visitwildtaiga. 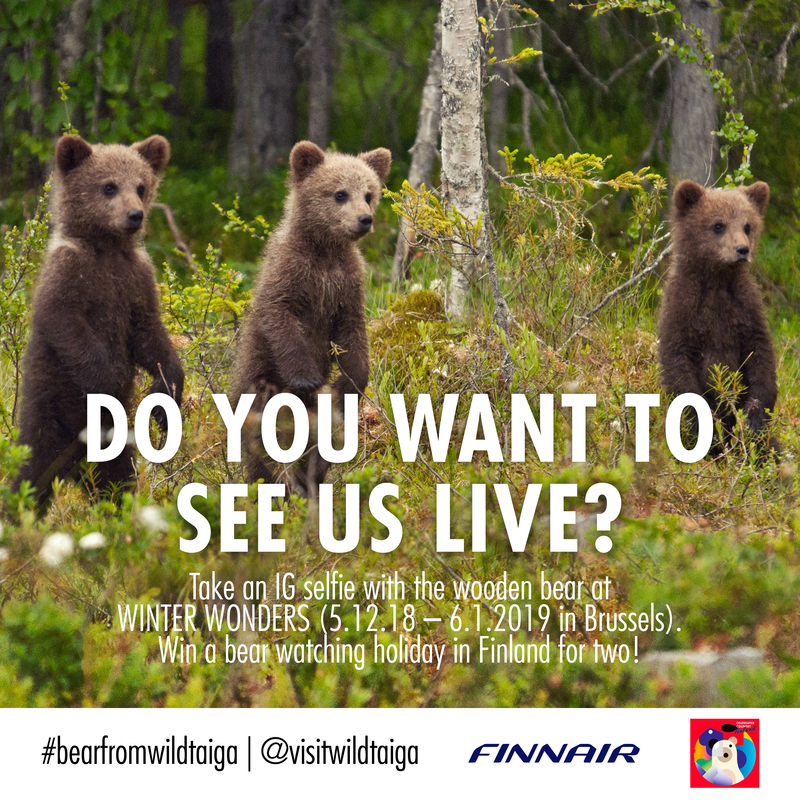 The prize includes: Return flights for two persons with Finnair from Brussels to Kajaani via Helsinki and an exciting guided overnight wildlife watching programme near the Russian border in 2019. Flights are sponsored by Finnair Ltd and ground arrangements in Finland by Wild Taiga companies. Please notice prize i.e. 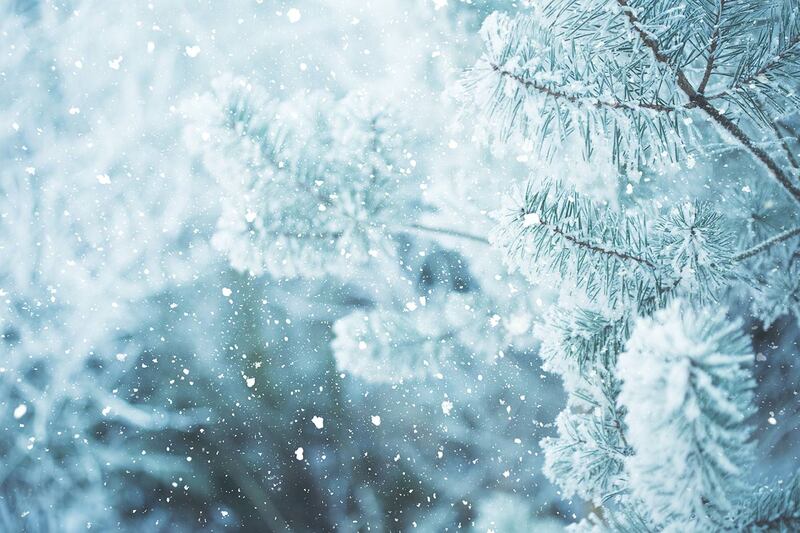 flights is subject to availability and blackouts may apply. The deadline for photo entries is 6th Jan 2019 and winner will be announced 9th Jan 2019. The randomly picked winner have to get in touch in three days via IG message otherwise we randomly pick another winner. So keep following @visitwildtaiga! Please notice promotion is in no way sponsored, endorsed or administered by, or associated with, Instagram or Facebook. A complete release of Instagram by each entrant or participant.